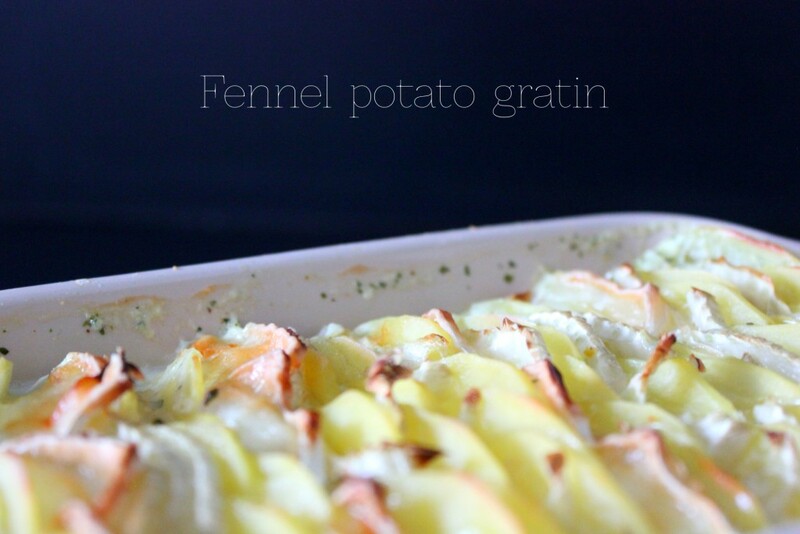 Potatoes and fennel have a friend in goat cheese. The three of them together are just great! 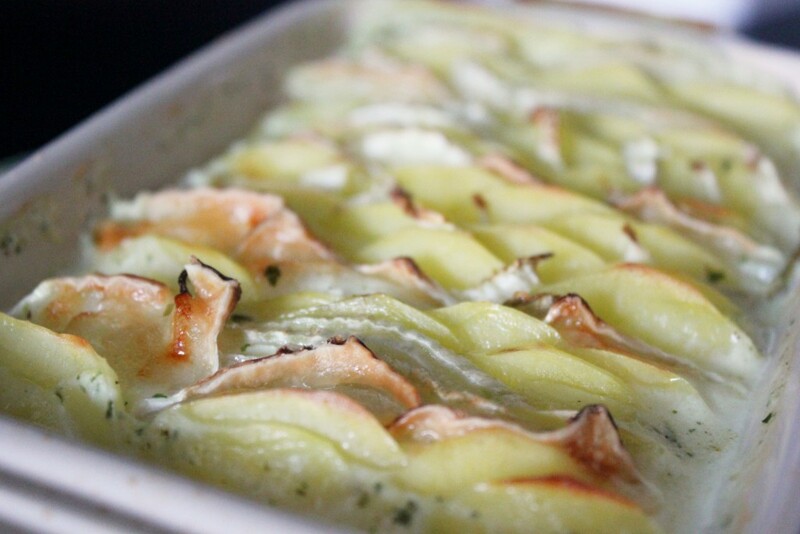 This super simple gratin has the cheese layered along with the vegetables instead of a cheese crust. 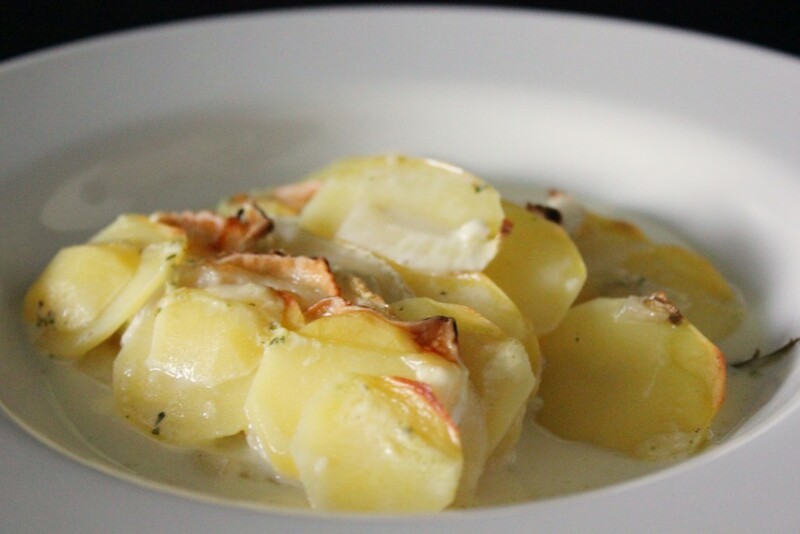 Peel and thinly slice the potatoes. Wash and thinly slice the fennel. Cut the Saint Maure cheese into 9 slices. Preheat the oven to 200°C/390°F. 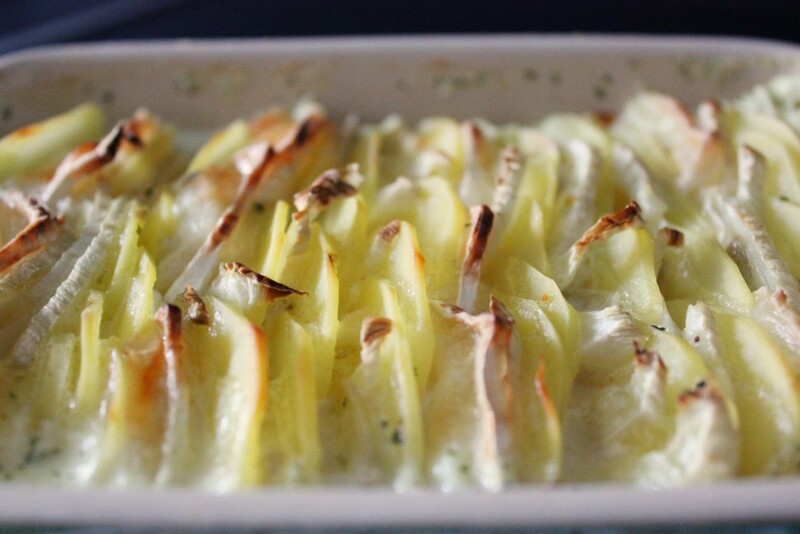 Alternating between potatoes and fennel, layer the vegetables in a small casserole dish. 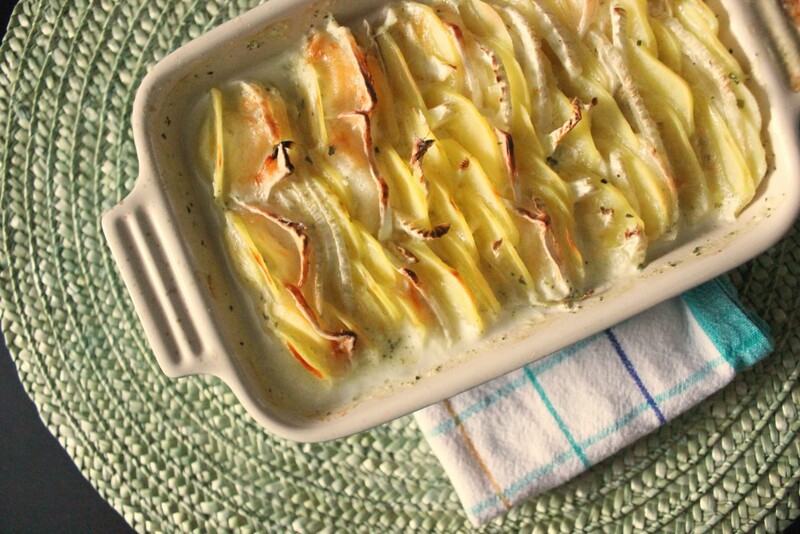 After two rows of both potato and fennel, add a cheese layer with three slices of Saint Maure. Repeat until everything is placed in the casserole dish. In a small pot, bring broth and cream to a boil, season with salt, pepper and sugar. Pour over the vegetables.